If you’ve never smoked ribs at home before, this is a great starter recipe. Once you master this technique, it can become the foundation to your own secret rib recipe. The recipe is called 3-2-1, as there are three important steps to learn: smoking, wrapping, and finishing. Each of these steps takes the time indicated: 3 hours, 2 hours, and 1 hour. 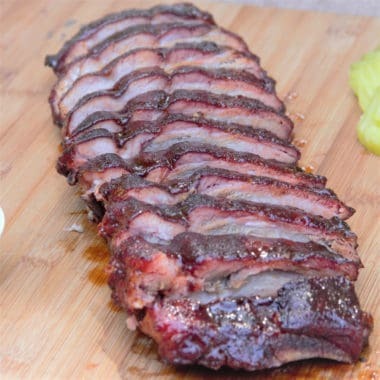 Though it may sound complicated, it is quite easy to do and results in deliciously smokey ribs. Preheat a smoker to 225 degrees F (105 degrees C). Add 3 good sized chunks of hickory or wood of choice. Trim any messy flaps or similar off the ribs and remove the membrane. Rub the mustard into the ribs, then leave to rest while preparing the rub. Combine the chili, paprika, brown sugar, sea salt, and garlic salt, then combine well. Transfer to a shaker. Sprinkle the rub evenly over the ribs then leave to sit, for 10 minutes to 2 hours. Place in a cooler if leaving for more than 20 minutes. Place the ribs on the smoker and smoke for 3 hours. Lay out two sheets of foil to wrap the ribs. Add the ribs flesh side down, then cover with the apple juice, brown sugar, and butter. Wrap the ribs and return to the smoker to cook for an additional 2 hours. 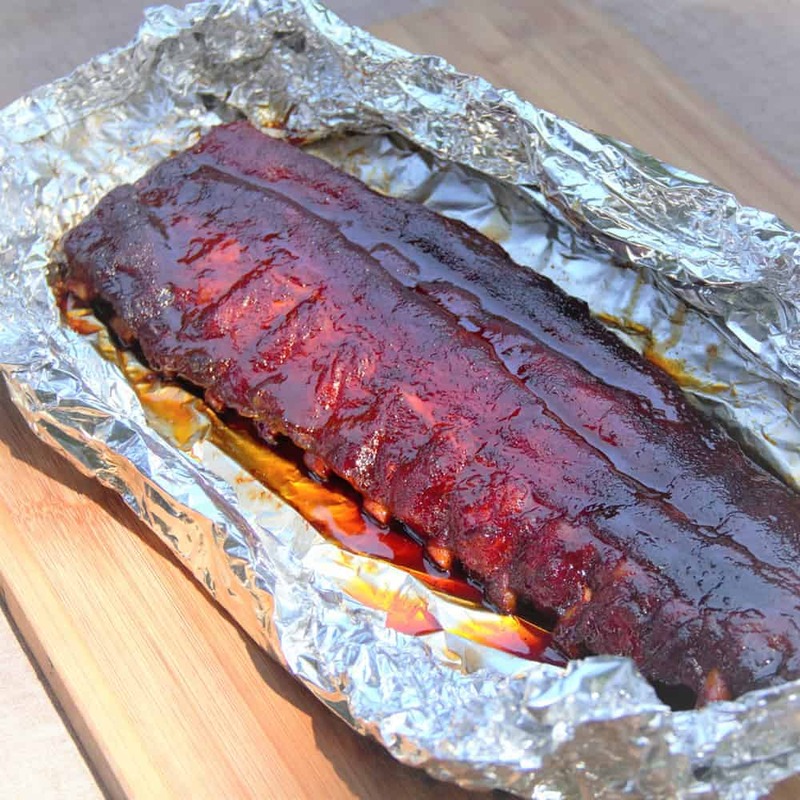 Remove the ribs from the foil and paint on the BBQ sauce. Return to the smoker until set, 10 to 20 minutes. For a deeper finish, this step can be repeated. Remove from the smoker and rest for 10 minutes before slicing and serving.